It depends on the couple, really. their story, what their love is cemented in. choosing a location to speak your vows and promise commitment is as unique as the love story at hand and is reflective of these factors and more. that’s not to say, however, that even the most free spirited of hearts can’t feel a sense of obligation to have a grand ceremony for the family’s sake. we get it, it’s hard to juggle all of the components involved when planning your wedding. 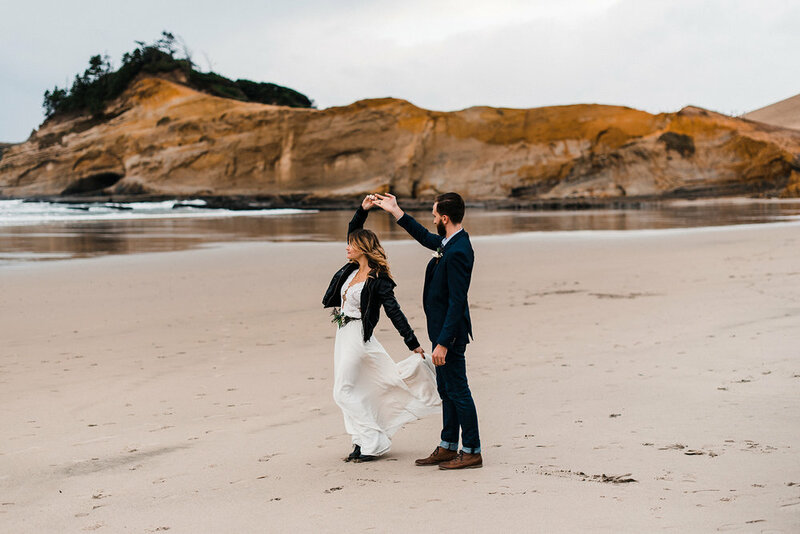 one thing we DO happen to know a thing or two about is just how little you should have to stress about your dress if you do decide to take the elopement route. after all, you and your partner chose this predicated course for likely a multitude of reasons, and worrying about the condition of your dress or moving comfortably shouldn’t have to be one of them. 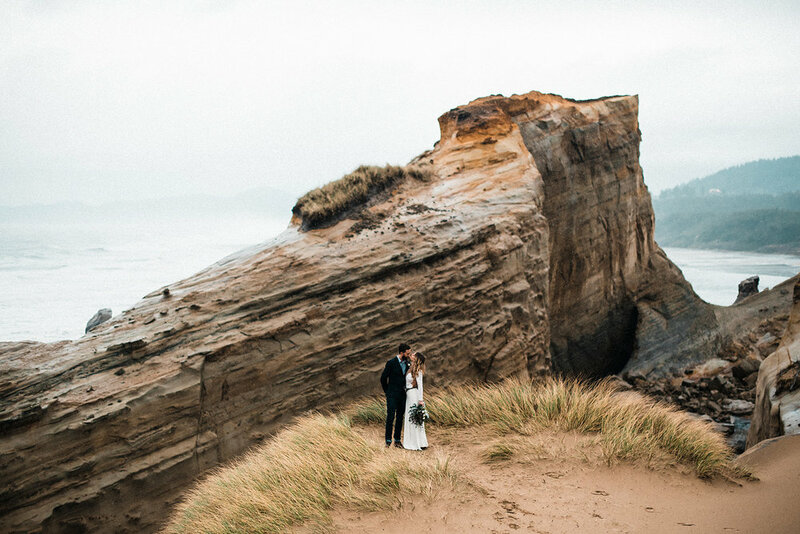 this elopement captured so exquisitely by the foxes photography is a perfect demonstration of how our pieces are meant to move, wherever your hearts lead. 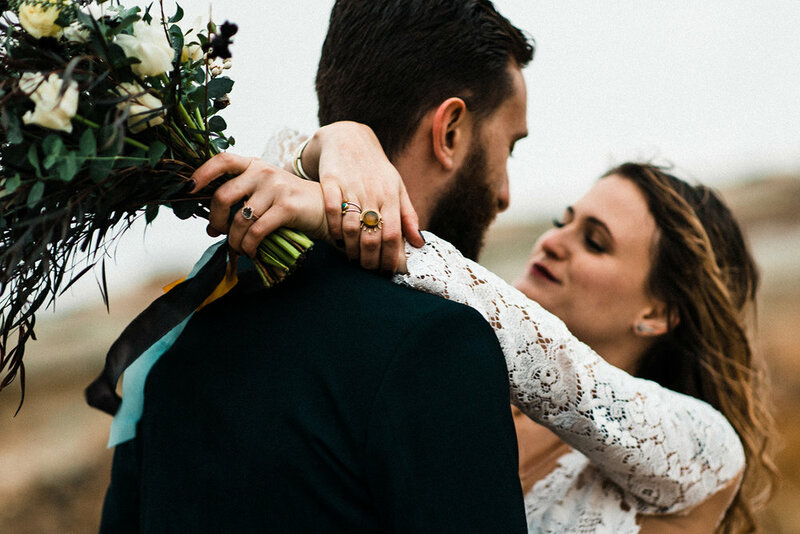 there is an underlying, charming autonomy to the elopement wedding — the intimacy of few or no guests, much like the nascent beginning of a blooming relationship but this time embedded in understanding and promise. the lace bodysuit: this showstopper really does the work for you. 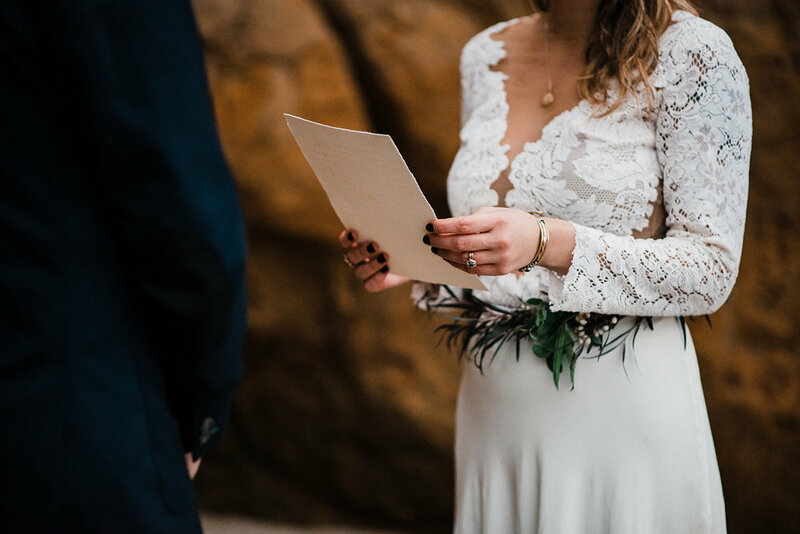 after years of ultra formal wears for brides and tops that feel constricting, it often begs the question: why not be comfortable on your biggest day? secondly, comfort. the lace coverage allows you to feel like yourself— placement of the lace where you want it, room to breathe, and the stretch of the illusion tulle giving you permission to move. The bias cut skirt : this out of all of our skirts is the only one that would ever call for a steamer (a handheld travel size steamer will do). however, the inherent weight and movement in the stone washed silk is also forgiving; especially for those planning to elope in a terrain that is perhaps verdant, tropical or otherwise. while the material itself is impeccable in design and quality, we chose it because it shouldn’t require a lot of fuss, while looking every bit bridal. last but note least? Space saver! our recent bride Sasha who was wed across the world and up a mountain told us that she quite literally rolled her pieces up in her carry on. if you are limited for room due to travel, or simply don’t want to have to lug a bag larger than yourself to the courthouse, linyage will fit that bill for your destination wedding. the options are infinite, just like your story. they go hand in hand.